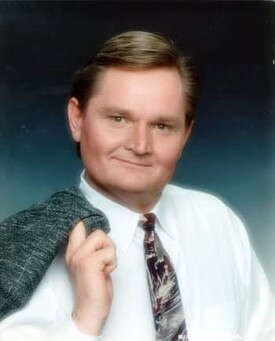 Dr. Michael J. Killebrew, D.D.S. has been practicing dentistry for more than 30 years. He is a member and good standing with the American Dental Association and has treated thousands of patients in the Tucson area. Born in Douglas, Arizona and growing up in Tucson, he attended Palo Verde High School and graduated near the top of his class. He also participated in athletics at Palo Verde and still supports the University of Arizona sports programs today. After graduating from the University of Arizona in 1972 with a Bachelor Degree in Biology, Dr. Killebrew moved to Philadelphia, Pennsylvania to attend dental school. There, he completed an extensive internship at the Albert Einstein Hospital. He received his Doctorate in Dental Science from Temple University in 1977. 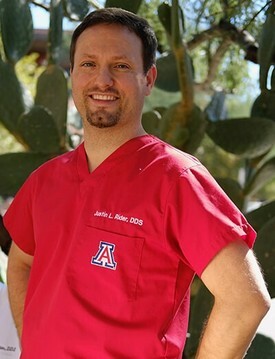 After practicing in the Philadelphia area for a year, he moved back to Arizona to start his own dental practices. In 1982, Dr. Killebrew opened his first practice at Mission and Ajo, and in 1989, he started Tanque Verde Dental in East Tucson. Over the years the businesses expanded throughout Southern Arizona, eventually growing to six successful offices. The experience Dr. Killebrew gained through the years makes him unique in his field, offering the best in quality work and cosmetic dentistry. He understands each element of patient care and pays close attention to the individual needs of each patient, that may range from dental treatment apprehension to financial concerns. Dr. Killebrew attends seminars each year to stay updated on the latest in dental advancements and technology. He uses updated equipment and digital x-rays in his office to extend the latest advancements in quality dental care. He also has extensive knowledge in all aspects of dentistry, helping to complete treatments in-house and avoid referring outside of the office when possible. His experience includes: restorative treatment (crowns, fillings, bridges); endodontic (root canals); oral surgery (extractions, implants); prosthetics (dentures, partials); periodontic (controlling gum disease); and cosmetics (veneers, teeth whitening). He specializes in working with adults and families, harboring a reputation for being honest and personable. Dr. Wilkinson is from the local area. He graduated from Glendale High School ('67), after which he joined the US Marine Corps. He was released from active duty in 1971 but continued with reserve duty until 1980. While he attended Arizona State University he considered a Master's degree in Biomedical Electrical Engineering before he was accepted into dental school. He then attended the University of the Pacific's prestigious School of Dentistry, receiving his dental degree in 1980. He returned to Arizona in 1980 and established his family dental practice in the Phoenix metropolitan area. He has participated in extensive professional education programs that focused on occlusion, TMJ, orthodontics, and implantology. 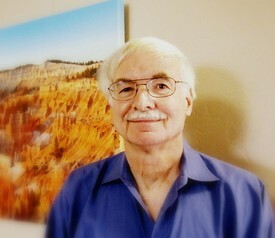 Having established his practice in 1980, he has treated thousands of patients in the Phoenix area. He utilizes all of this education and experience with each patient as he provides He is friendly, caring and can easily explain the most complex issues in a manner that is easy to understand. Beyond excellent dentistry, his personal experience in the arts gives him a special talent for cosmetic techniques and creating the most beautiful smiles. Dr. Wilkinson continues to attend many hours of courses every year, far beyond the necessary amount required to maintain licensure. They include lectures, hands-on courses, and practice management programs. Staff members also learn from each other and from their patients on a daily basis. Dr. Wilkinson supports organized dentistry and the way organizations promote the health of our citizens. He is a member of the Central Arizona Dental Society, Arizona Dental Society, and the American Dental Association. With constant improvements in equipment, materials, and techniques, it is vitally important to commit time to keep learning. Dr Wilkinson has made that commitment and is highly educated in the most advanced dental techniques. In his spare time, Dr. Rider is a volunteer and enjoys giving back to the community. He enjoys spending time outdoors while enjoying hiking, camping, swimming, and photography. Dr. Rider and his wife, Crystal, enjoy raising their young family in Tucson.